Yes, our life is that exciting that Stu and I keep commenting to each other how much we like our new vac packer. It is not that much bigger in footprint than our old vac packer, maybe a little longer but oh so much faster. Vac packers are a much under looked and under planned piece of kit in a dairy. We use it for packing cheese to mature until we decide what to do with them e.g. wax or naturally rind. It is convenient for us to be able to store cheese without it spoiling so that in the lean times when there is not much milk about, at least we have stock. Also to vac pack cheese samples to send to the lab and we have a customer who takes pre-packs. And a final use is for our new mystery cheese (which shall be unveiled shortly as soon as we get the labels printed up) to prolong the shelf life. We bought our vac packer from Brytec. It is made of stainless throughout, so it looks shiny; as readers of this blog know, I like shiny things, so much so, that one day I bought a large milk bulk tank because it was shiny, but that is another story. 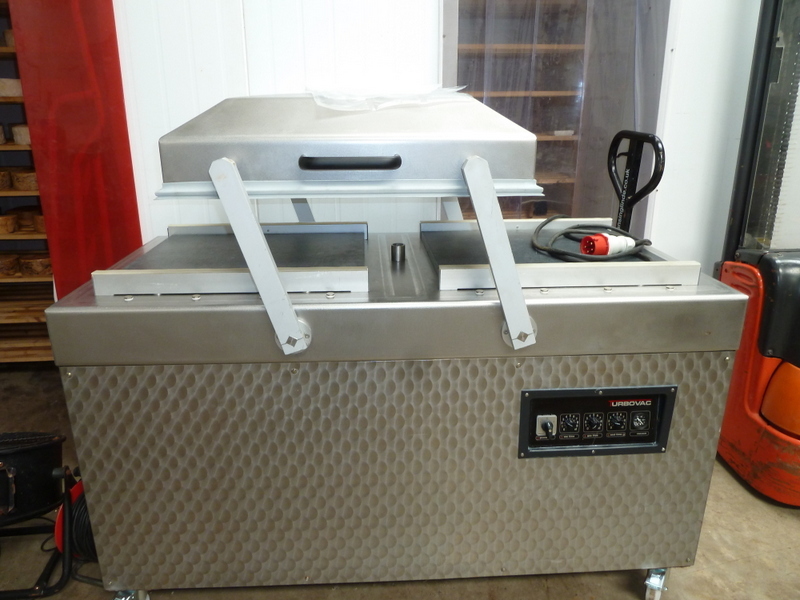 The only downside is that because it is so fast, I can only vac pack the cheeses and weigh them afterwards, whereas with our old vac packer, I could load it up, take the sealed cheeses out, weigh them, then reload without pausing. With our new vac packer, you are racing against time as no sooner than you have placed the fourth cheese on the sealing bar, the chamber is up and it is ready to go again. But on the plus side, it took me 16 minutes to vac pack 87 cheeses on Monday, 8 minutes to clean it, taking the sheets out and replacing them and 15 minutes to weigh all the cheeses. This would have normally taken me a little over an hour, so a time saving of about 20 mins which is a lot in my book. So, we need a faster set of scales…..